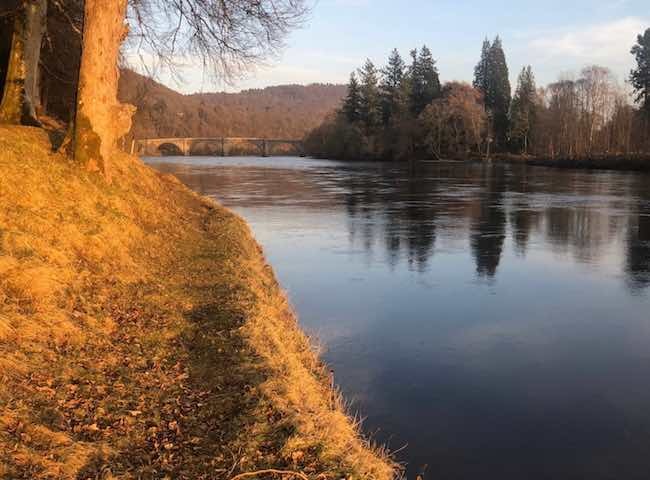 Here's an amazing Spring sunlight shot that was taken yesterday from the River Tay slightly upstream from the historic town of Dunkeld. 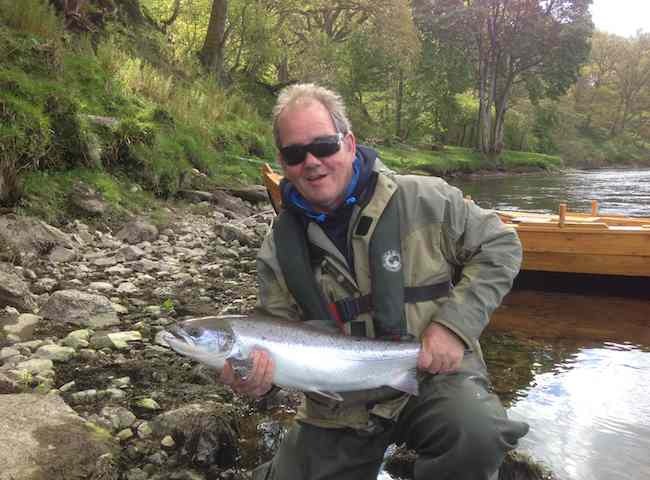 Treat yourselves to a salmon fishing adventure during 2019. 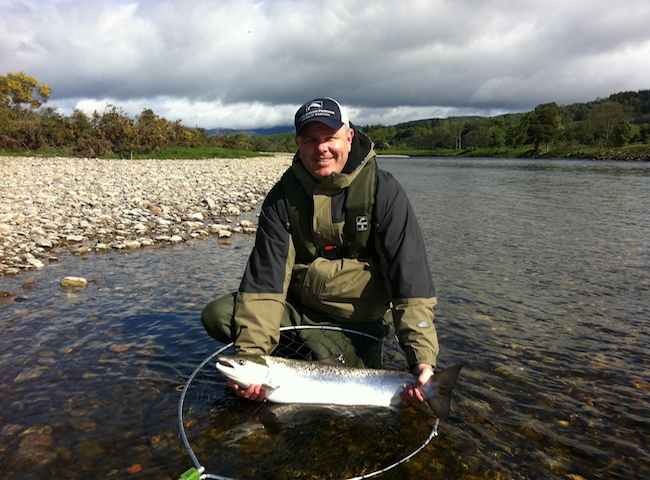 Here's a welcome sight after a highly informative morning's salmon fishing introduction on the River Tay. 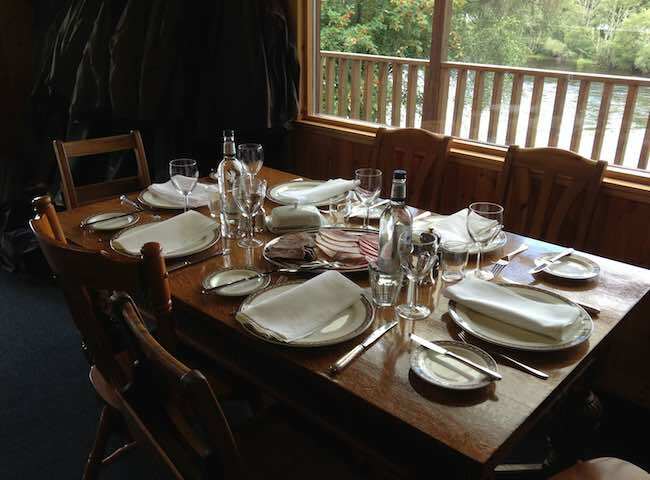 All of our salmon fishing event lunches are prepared by professional Michelin starred chefs. 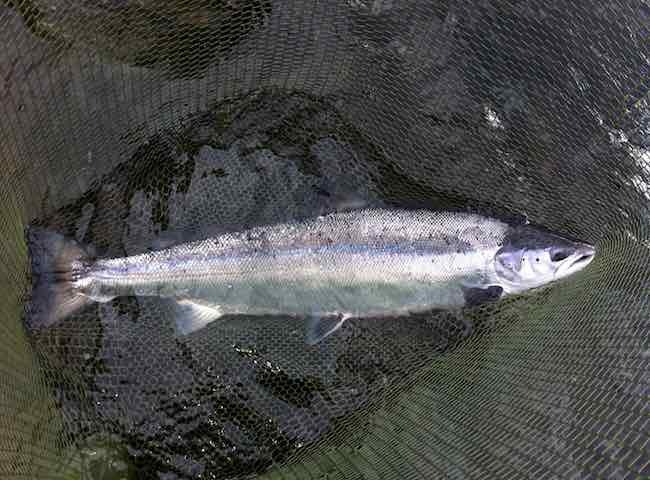 The beauty & power of a fresh run Scottish salmon has to be experienced to be believed and this is another fine example. Book yourselves a crash course on achieving this scenario during 2019. Look at this shot as a great example of the most fantastic late afternoon light display of golden brilliance. 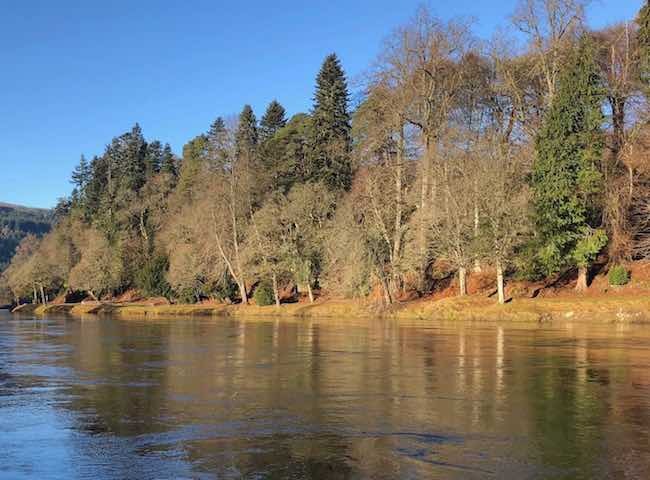 The Tay offers a completely different realm of spectacular natural scenery that changes often throughout the course of the fishing day. 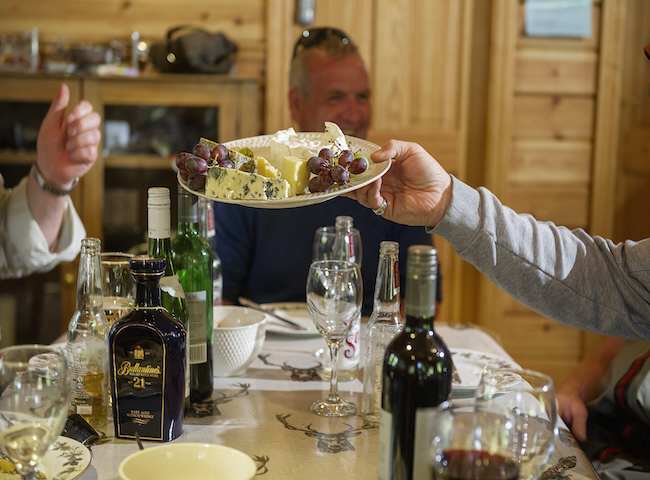 There's nothing that betters a fantastic Michelin starred lunch served in a luxury salmon fishing hut overlooking Scotland's finest salmon river. Book yourself a different day out for your key business team & associates. 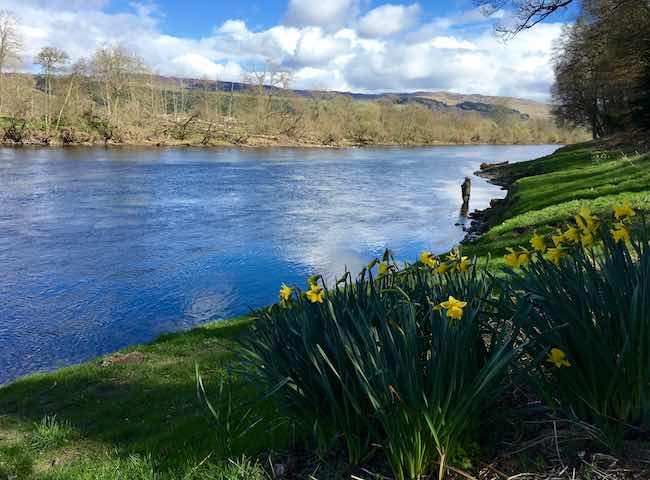 A snippet of Scottish salmon fishing advice you'll be given on a Spring fishing event day is looking out for bunches of daffoldils which were traditionally used by Scottish ghillies to mark the Spring salmon lies. 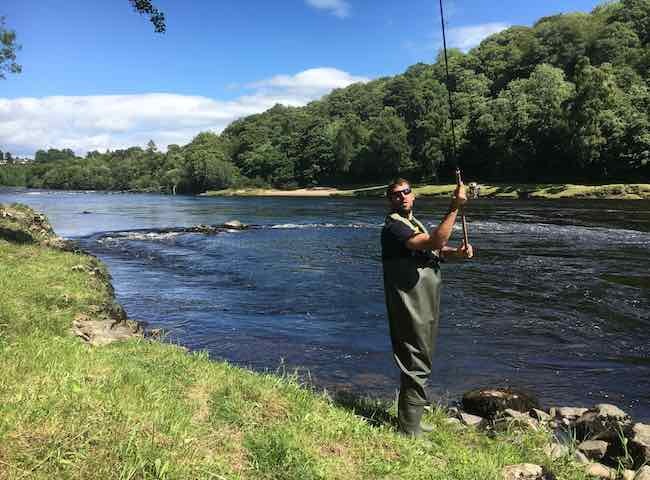 Although salmon fly fishing is a very popular method of salmon fishing the River Tay also allows spin fishing when the water conditions are suitable as you can see from this shot yesterday. 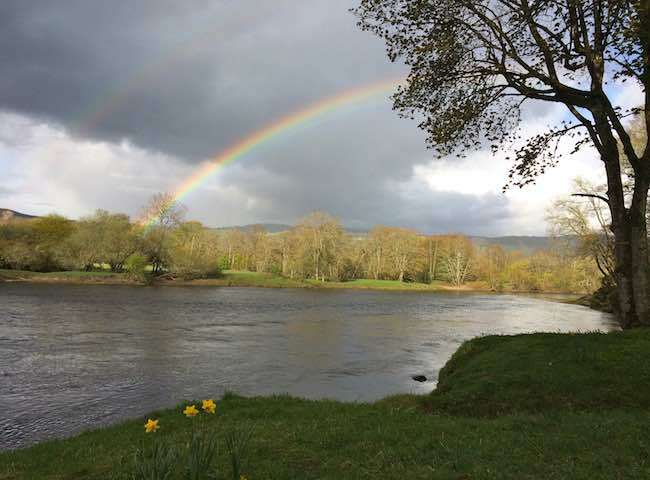 The Tay is one of the most magnificent natural arenas you could ever place yourself in. Throw in to the mix a possible tussle with the most iconic gamefish and you have the perfect blend of natural components. 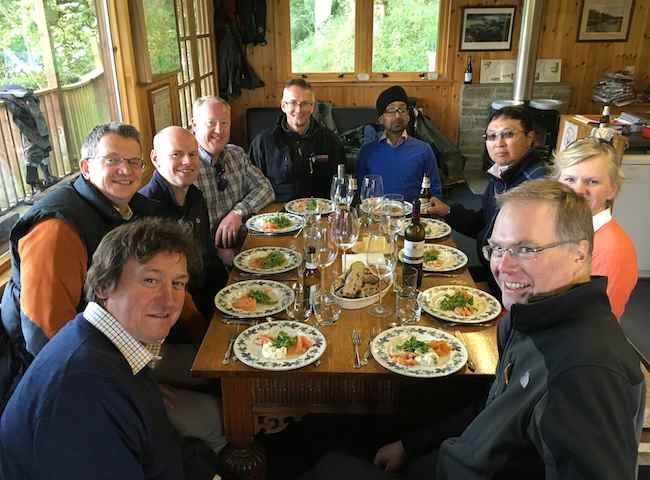 As far as 'bonding' environments go there's little that compares to the tranquil setting of a high quality River Tay salmon beat & lodge for developing key business associate relationships.